I was contacted by a mutual friend to do this review. Up until that point I had not heard of Josiah Nichols. This would be the first work that I have read of his. It might also be his first published work. It isn’t a long book, nor is it a book that requires a seminary education to read. The author’s purpose is to demonstrate how he employs hermeneutics to interpret, and derive applications from Exodus 21:28-32. The book is very evangelistic. I would say that it has been far more evangelistic than many theological books that I’ve recently read. From reading the title, and the author’s intended goal treating the topic of hermeneutics, I expected a more in depth primer on hermeneutics, and a demonstration of the analytical methods of hermeneutics on the cited verses. While the author accomplished this goal, I think occasionally the author also got a little lost in some peripheral details. It is also evident that the author is a big fan of Wretched Radio/TV and their work. Todd Friel is the host of the programs as well as the podcast. The people over there at Wretched have put out a number of very useful videos, and educational products. Josiah refers to, “Hermen Who?” numerous times throughout the book. Wretched should thank him for the plug 🙂 I liked both the book, and Wretched. I am a big fan of their work to, so I share that with the author. The questions I consider for book purchases are, is it theologically accurate, and will it add value to the individual’s Christian library? That’s it. That’s how simple it is for me to decide, “yes” or “no” for a book. The answer to the first question is, yes this book is good and accurate if you are Reformed in your soteriology. If you are not, it is still accurate, and you are the one with the problem lol. As far as value goes, it does add value to your library as a resource to loan out. This book is evangelistic. I would feel good handing this to someone who is new in the faith. It will teach them a bit about hermeneutics, and much more about other doctrines of God. After reading it, I am still hard pressed to categorize this book, or write a more fitting title. 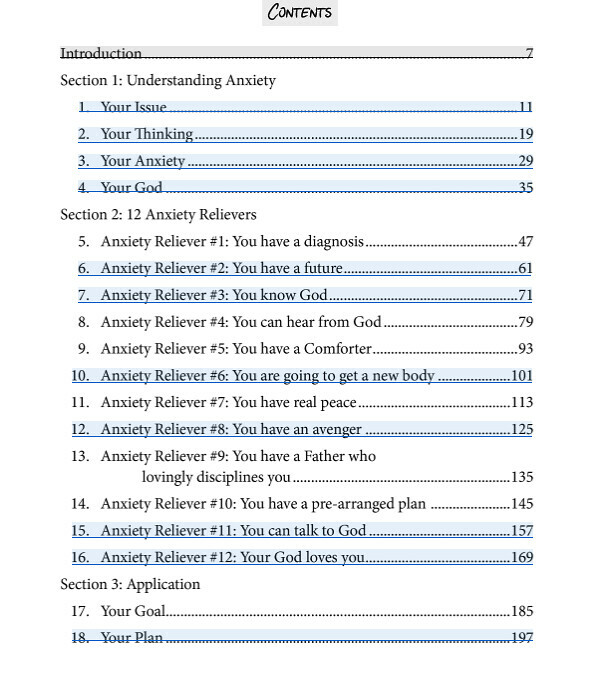 The author does analyze Exodus 21:28-32. He does so accurately. He did not twist the scripture, or impose a meaning on it that was not intended by the author of scripture. It would be educational for a new Christian. I believe that was his intended audience. I look forward to seeing Josiah’s future projects. I think we will see bigger and better works from him. He was precise and nuanced without being rhetorical. Some theological books for laymen seem as if the authors had forgotten who their audience was. 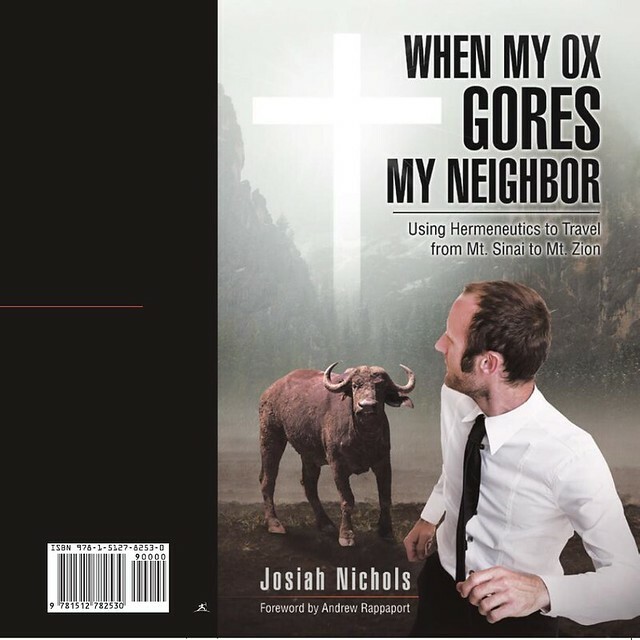 If Josiah reads this, “Keep up the good work.” You can pick up a copy of his book at Amazon, Christianbook, or Westbow to name a few. It can be purchased from many other online book retail sites. 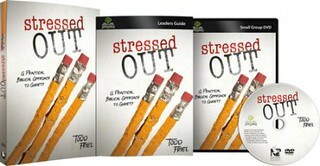 A Review of, “Stressed Out: A Practical, Biblical Approach to Anxiety” by Todd “Freakishly Tall” Friel. First off, I must issue a disclaimer. I am a fan of Wretched Radio, and Wretched TV. That being said, I will still give an honest review of this latest work from Todd. If you aren’t familiar with Todd, and the gang over at www.WretchedRadio.com I suggest you go look at their web page. Make sure to stop by the Wretched Store and peruse their wares. You can also pick up a copy of this book there. If you prefer you can get it at Amazon or Christianbook as well. The thought that I kept having while reading this book was, “Where was this when I was in my 20’s?” I had so many issues with stress then. I got married to my Wife when I was 19 years old. She had 2 little baby boys from a previous marriage. I was an instant Daddy. I was working part time for K-mart, and Wendy’s. We lived in a low income apartment with people using drugs near by, and couples fighting, police in the parking lot every weekend breaking up said fights, and little to no opportunities to get out. So, I was stressed. My Wife was stressed. Our families were stressed. It was a stressful time. I think you are getting the picture. I was a new Christian. I didn’t have anyone to disciple me, and the only resources I had to draw from were the Bible, and prayer. I had to swallow my pride, and ask my Dad for money for hamburger to feed the kids dinner. I worked as much as I could, and we kept going forward, even when we got knocked down. What it has taken me the better part of 25 years to learn, Todd has isolated in his new book. The Biblical principles detailed in, “Stressed Out” have been distilled from the Bible skillfully with a focused effort to apply the knowledge for the benefit of the reader’s peace of mind, and sanctification. So much of our peace of mind depends on our view of God, and ourselves. In this book, Todd helps you to see the sovereignty, omniscience, omnipotence, righteousness, and love of God, as well as our own condition in relation to Him. With the Bible applied to properly inform us, and correct us in areas where needed, we can discover a deeper, satisfying, peace with God. That peace and contentment will affect every aspect of your life. So to say, I recommend this book is an understatement. It is a quick read, but by no means “lite, cotton candy theology.” If you are a young person, who is struggling to make sense of things, pick up a copy of this book. Even if you are older, and need a reminder of the peace that comes with trusting God and who He is, this book is for you. Todd’s book is a good reminder for us. When we don’t see things rightly, we are like Don Quixote. He didn’t see things as they truly were, and he wasted his time tilting at windmills. He thought they were enemies. In reality they were faux-foes or pseu pseu pseudo-foes whoa oh oh… (The butchering of Phil Collins’ song is for mature audiences only, “old people.”) We can see the things, and situations, that we have anxiety, worry, and stress over as ominous, and potent enemies. Todd reminds us in his book, via abundant scripture references, that we are in sin if we succumb to these assaults. In light of God’s word, His attributes, and our place in His redemptive plan, we should know peace, security, gratitude, and contentment. 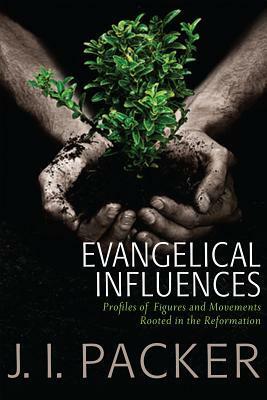 A Review of, “Evangelical Influences” by Dr. J. I. Packer. In honor of Dr. J.I. Packer’s 90th birthday this July 22, I offer this review. I’d like to start out by saying that there are some good books written, and published in Christendom still today, and this is one of them. 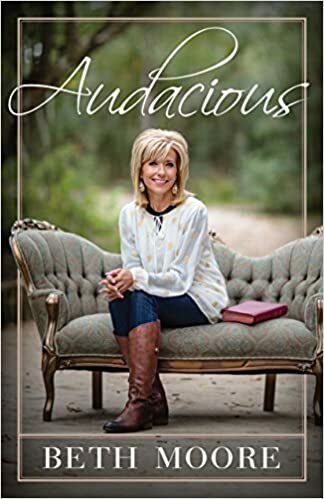 I would contrast it with my most recent review of, “Audacious” by Beth Moore. One is a piece of fluff, with virtually no value at all to the reader. The other is a wonderfully educational book that enriches the reader. Of course, Dr. Packer’s book is the latter. It should also be noted, that I don’t affirm Dr. Packer’s ecumenism, views on evolution, or the age of creation. In light of these differences, I still recommend this work for your Christian education, as our differences are not of primary import, but rather of secondary or tertiary consideration. I think this book should be on the reading list for men going into seminary. I admire his passion for knowing God, strength of conviction, and his intelligence. Here is a link to a short bio if you are not familiar with J. I. Packer. I am also including this link, so you can read about his character. In Dr. Packer’s book, “Evangelical Influences” he introduces us to three sets of men via short biographies and citations of their works. These three sets of men come from three distinct times during Church history. The first is comprised of Martin Luther, and John Calvin. They represent evangelicalism during the Reformation. The second group is Richard Baxter, and George Whitefield. They represent evangelicalism as Puritans. The third and last set is Dr. Martyn Lloyd Jones, and Francis Schaeffer who could be considered Dr. Packer’s contemporaries representing modern evangelicalism. One thing that impressed me most about the biographies is the kind affection that Packer expressed for, “The Doctor” Martyn Lloyd Jones. Even though they didn’t see eye to eye on every issue, the fond recollections Packer expresses are very touching. Sometimes we let our differences cause undue animosity towards one another. It is encouraging to read these fond memories. The rest of the book is spent relaying historical information about the works of these men, and the effects those works had, and continue to have on evangelicalism. They have done much of the heavy lifting for us fleshing out the doctrines so that we could have concise expressions of them, which are precise and nuanced. I especially like the section where Packer explains how we have benefited from Calvin’s work on the inerrancy of scripture. Through cited passages from Calvin’s work, we can read what he thought about scripture and how it should be thought of. Much of our conservative modern understanding comes from the work these predecessors did. In the 1970’s Rogers and McKim criticized Calvin’s explanations of inerrancy. Dr. Packer’s answers to their criticism are well worth reading. 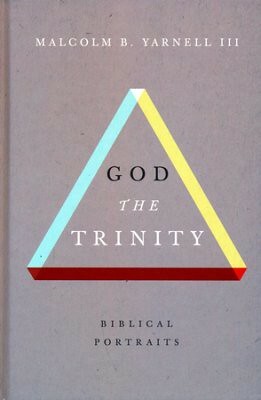 I think this conclusion on pages 166 and 167 expresses perfectly how Packer understands Calvin’s convictions “…For Calvin, Scripture was able to fulfil its God-given function precisely by virtue of its God-given form, and the Holy Spirit, through whose agency that function is fulfilled, was directly responsible for producing the words in that particular form. The Spirit teaches from a textbook that in effect he wrote himself. For Calvin, therefore, anyone who set the form and the function of Scripture, its givenness and its usefulness, in antithesis to each other, treating them as alternative rather than complementary theological concerns, would be talking a kind of nonsense, just as one would if one set food in antithesis to eating…” As you can see, Packer understood Calvin’s work differently than Kim Rogers and McKim. I tend to agree with Packer. In the section about predestination Packer lists 10 things predestination does not mean. I found this helpful for explaining the topic to my 15 year old daughter. I hope she found it helpful. Many people have questions or presuppositions about predestination that make them biased against it, even though it is blatantly taught throughout scripture. We dare not disregard it. Number 6 said, “Predestination does not mean that the door of mercy is barred to anyone who actually wants to enter. To no such person does God say, ‘No, you can’t come in; there is no redemption, no mercy for you. You were predestined to stay outside, and outside you must remain.’ The reason why this never happens is because no one ever wants to come in except God’s chosen, whom he draws to Christ and brings to faith according to his predestining purpose. We are dealing, remember, with God’s action towards our fallen race, in which nobody naturally seeks God. Nobody naturally wants to come to Christ. One who wants to come to Christ is already the subject of a work of grace, and will find the Saviour whom he or she is seeking.” Instead of being a cause for distress or anxiety about predestination, this should give the Christian great peace. Dr. Packer cites large sections from the works of these fellows. He does so to examine the work they did, and to provide the historical context, so we can see the effect they had on us. It is always noteworthy to me, to understand how our situation today isn’t much different from our predecessors. The issues that Luther and Calvin dealt with are still being dealt with today. By studying their works we can see how they recognized, understood, and dealt with them. Dr. Packer’s proficiency at engaging the reader, while simultaneously educating them is appreciated. Even though this material can seem a bit difficult to get through for some, I adjure you to read all of it. For the rest of us, who are accustomed to reading works laden with theology and history, I think you’ll find this to be a good read. Pick up your copy here or here. 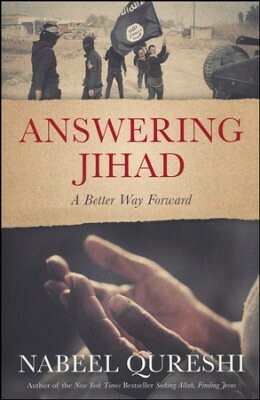 The full title of the book is, “Answering Jihad A Better Way Forward.” The majority of the book is a concise primer on Islam, and some of its doctrines. It also briefly juxtaposes some facets of Islam with corresponding aspects Christianity. The big question, in my summation, that it answered definitively was, “Do the authoritative founding documents of Islam prescribe violence as an integral part of the practice of Islam?” It would seem that the answer is, “Yes.” He also answers another question that has got our liberal friends in a tizzy, “Do Muslims and Christians worship the same God?” Of course, this is simply answered with a resounding, “No.” by people like me. Qureshi does answer in the negative but is more diplomatic with his response. He takes some time addressing why some people might think that they do. He also explains why some Christians from other countries might use the word, “Allah” as an interchangeable word for God. As an American, this would never enter my mind, so it was interesting to learn why it would happen in other countries. Nonetheless, we should answer the liberals in this nation with a, “No.” He explains how similar does not equate to same. It is not enough to have some similar attributes and then coincidentally make it consequential. Nabeel Qureshi takes just enough time to flesh out the truth, without weighing the reader down with minutia. He utilizes a writing style that the layman will be comfortable with while maintaining accuracy. It is a quick read, that can be read in a day. It is a good resource to hand to friends who may have new Muslim co-workers or neighbors. I agree with Qureshi’s conclusion that the best way forward is friendship, not fear. If we can take the time to understand where they are coming from, and then invite them into our culture, it would go a long way to improving relations with the moderate muslims of the world. With the help of men like Qureshi we can also spot the Muslims who are educated in the founding documents of Islam and are engaging in the prescribed violence from the quran and hadiths. I recommend this book as a primer. Definitely, get a copy for yourself, and then give it to anyone who would be in a position to befriend muslims. I would look for any other books this author might have coming out in the future.